When you're looking for an Athens GA photographer or the surrounding Watkinsville or Bogart areas, or even into Atlanta, you want to know you're getting the best. But what makes the best photographer for you? Look for a combination of personal style, expertise with subjects and lighting, safety, and photography products. What do all of these mean? Photographer's style: is the style light and airy? Is it dark and moody? Is it whimsical or fairytale styles sessions, or perhaps it's more lifestyle and documentary? Are you looking for someone to tell your family's personal story at home, or are you wanting something in a studio, or maybe outside in a field? You have to pick what your personal style wants. A studio photographer isn't going to be the best choice if you want an outdoor photo session. Expertise: How long has the photographer been in business? Is the professional you're looking at good with many different ages? It takes time and effort to be a master at a particular genre. A wedding photographer isn't going to be the best at newborn photography. A child photographer might not be great with teens or weddings. What does that photographer specialize in? A person who has built 10 years into one child portraits is naturally going to be a great choice if you want pictures of your toddler, but not if you want corporate headshots. Safety: Is the photographer you're looking at insured? Do they practice safe posing and safe session locations? If you're at a public park, are the people around you unthreatening? Is the photographer's studio easy to get to and well lit? Photography Products: Does the photographer you're looking at offer digital files only and expect you to do all the printing yourself, or do they help you through the full process by offering albums or canvases ready to hang when they're delivered? 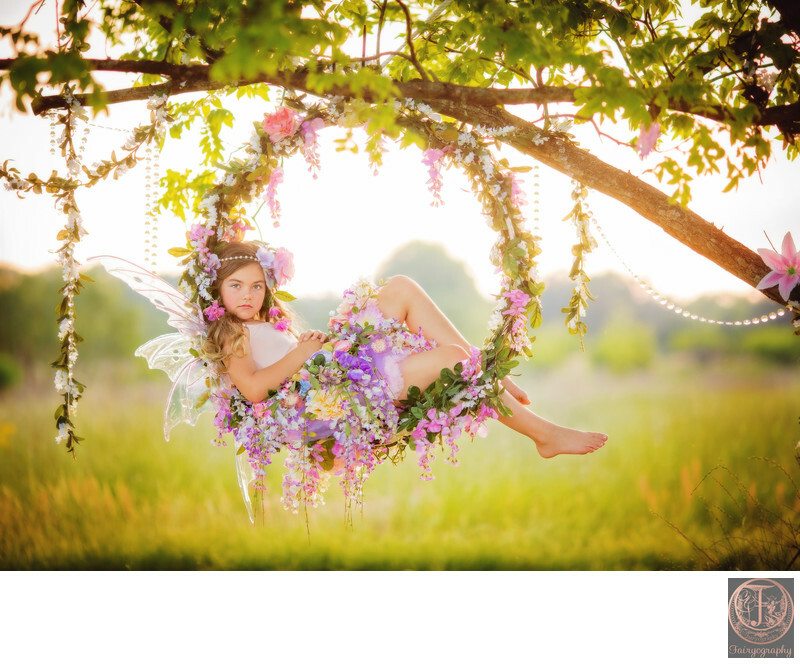 Fairyography has a magical and whimsical fantasy style for children's photography. Heather Larkin has been in business for 14 years and is fully licensed and insured. Fairyography offers albums, framed prints, and a wonderful experience for your girl. Keywords: Thomas Orchards (24). 1/640; f/2.0; ISO 640; 135.0 mm.